We are the bone of our horse, or something to that effect. The brothers hang out in a comic book shop with a bunch of adorable degenerates in Denki-gai no Honya-san. 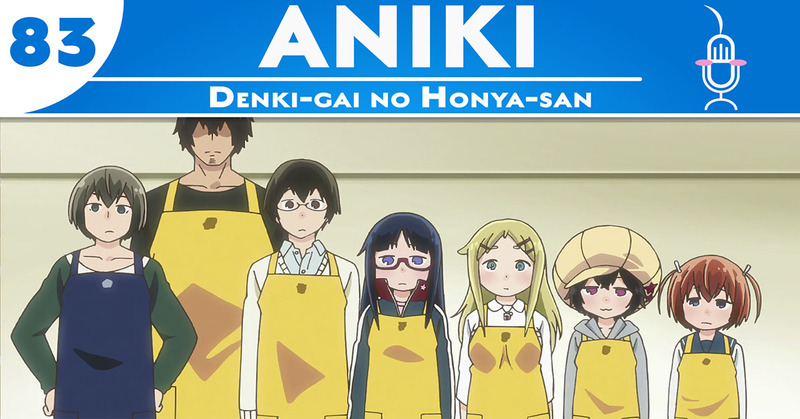 Set in a doujinshi shop in fake-Akihabara, Denki-gai no Honya-san follows the everyday life of the diverse staff. From “naive” Hio-tan to the all-knowing Sommelier who can tell at a glance what special-interest literature will bring joy to your pathetic soul, there’s something for everyone at the Umanohone. Also featuring: Fairy Gone, Demon Slayer, One Punch Man 2, and the Promised Neverland.